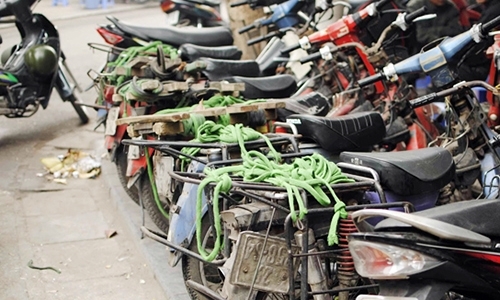 Hanoi's Department of Transport wants to take old motorbikes off the capital's streets and plans to submit the proposal to the city's council, according to Vu Van Vien, the department's director. If approved, the capital will start reviewing the over 5 million motorbikes circulating its roads this year and categorize them by age. The city would then work with the Ministry of Transport to come up with a standard to determine which motorbikes need to be taken off the roads from 2018. While the government has already devised a roadmap to start removing old motorbikes from the beginning of 2018, the ministry has yet to set standards for emissions and service life, according to Vien. As a result, there are still no legal grounds for authorities to remove these vehicles. 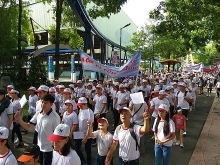 “If it takes the Ministry of Transport too long to come up with standards to determine which motorbikes need to be removed, Hanoi will ask the government to let us launch a pilot project based on our own standards,” he said, adding that the plan has received widespread support. Hanoi is currently home to 5.2 million motorbikes, 10,686 electric motorbikes, 30 registered 3-wheeled motorbikes and 4,367 unregistered 3 or 4-wheeled tuk-tuks. Nearly half of those vehicles have been in use for many years, including many manufactured in the 1980s and 1990s. The city has recently revived a plan to ban motorbikes from downtown districts from 2030 in an effort to combat traffic congestion. However, the plan, which is now open to public discussion, has been met with strong opposition from many experts and residents. Many argue that the city should build a comprehensive public transport system first, and claimed that cars are actually to blame for traffic jams, not motorbikes.